This post is about Hazelnut Carrier oil, which is a natural sunscreen with SPF 15 and has amazing benefits for all skin types. It is a pore reducing and acne fighting oil and also great for dry, mature and undernourished skin. It has a mild pleasant nutty fragrance. Hazelnut Carrier Oil is extracted by cold pressing Hazel Nuts (Corylus Avellana) also called as cobnuts. I recently reviewed the Lotus Herbals 3-in-1 matte look daily sunblock which I have been using from past 2+ years. But I wanted a good, mild, affordable sunscreen for my son too. I had once bought a sunblock from Chicco for 900 bucks :( and had to throw half the bottle because it was reacting to his skin. 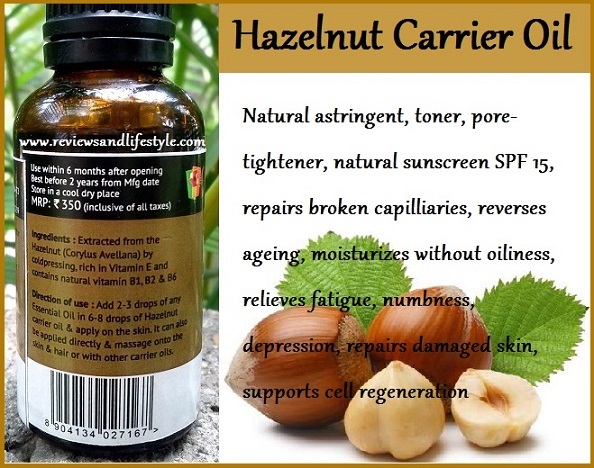 While shopping from Soulflower a couple months ago, I made a chance discovery - Hazelnut Carrier Oil, which has sun protection properties and other skin healing benefits. It was a chance discovery and the oil was on sale too. MRP was INR 350 and the slashed price is Rs 172. I immediately purchased it without second thoughts because it is pure, coldpressed and hexane-free. The description said that Hazelnut carrier oil has astringent properties and is non-greasy. So I was not sure if it would work for my dry to normal skin. So first I took 2-3 drops on my palm and applied on my face to test and Oh My God! It spread on my thirsty skin like a dream. Just 3 drops and it moisturized my face, neck and hands so well! I was elated. It absorbed very well without any stickiness. This encouraged me to explore it further. I started using it every night mixing it with tea tree and lavender essential oils. I have several superficial warts on my face which keep returning every few years. This combination of oils reduced and dried up the wart size to just 2% within a few days and also treated all break outs. 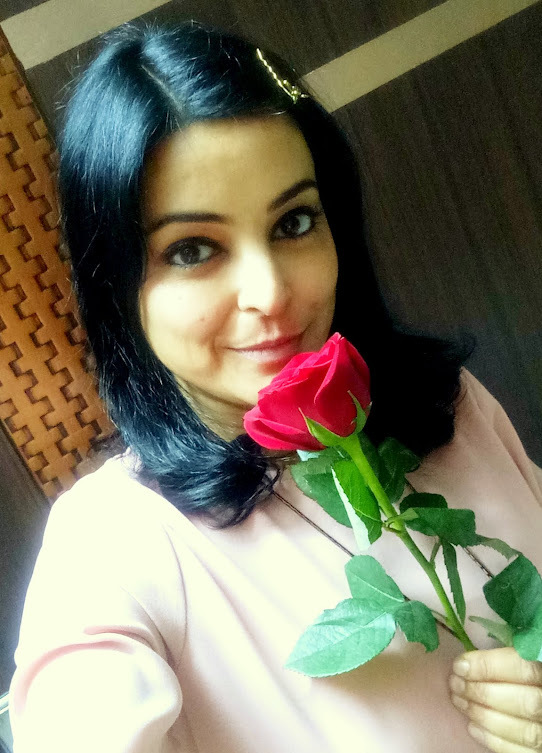 Skin feels nourished and amazing and the best part is I can use it in Summers too. Use it neat all over the body or mix it with any of the below natural sunscreens. It is best to apply it right after bath after removing excess water from the skin (without using a towel). Or apply at least 20-30 min before sun exposure. You can also use it as an after-Sun skin-soothing and repairing serum. There are many recipes on the internet about making your own natural sunscreen lotion or body butter or cream. 1. Hazelnut carrier oil is a natural sunscreen with SPF 15. You can apply it neat or combine it with other oils and natural ingredients for even more benefits. 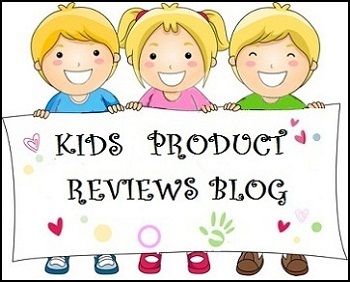 A great chemical free sunscreen for kids who do need some sun exposure for healthy bones but also some skin protection. 2. It contains Vitamin E which not only nourishes the skin but also protects it from Sun's damaging Ultra Violet rays. 3. It is a natural astringent, hence it tones the skin and tightens skin pores. It controls excessive sebum production in the skin. 4. It is a great emollient. It moisturizes/hydrates the skin very well without being greasy. This makes it a perfect oil for oily skinned people who need moisturization without topping up their skin with more greasiness. 5. Suits all skin types including sensitive skin. Provides moisturization for very long hours. 6. It contains natural Vitamins B1, B2 and B6 which makes it perfect for body massage as it treats numbness, fatigue, depression, cramps etc and also nourishes the skin. 7. Hazelnut carrier oil is a perfect anti-ageing product. It makes skin tighter, more supple and younger. It promotes skin cell generation, repairs skin and also strengthens capillaries. Great for very dry, undernourished and mature skin and can help boost skin elasticity without feeding your skin with harmful chemicals from anti-ageing skin creams and serums. With regular use, it reverses ageing. 8. It is one of the best oils for acne prone skin. It never broke me out and absorbs instantly without leaving any oily residue on my skin. A very little amount spreads and covers a lot of skin area. It leaves the skin silky smooth and does not give a shiny nose in summers. 9. Hazelnut carrier oil has antioxidant properties which help fight free radicals and prevent the ageing effect of sun and other environmental factors on our skin. It promotes cell regeneration and helps heal skin. 10. Can be used on the hair and scalp too as it will nourish them without being oily. Great for color treated and damaged hair. Apply in hair roots at night and wake up to gorgeous hair in the morning. Or apply at night and shampoo next morning. Or mix it with your shampoo at the time of applying shampoo. Very easy, just apply it neat on entire body (including face) as a body lotion. Best if you apply right after bath or at night. Can mix it with your current body lotion or sunscreen lotion to boost up their benefit. 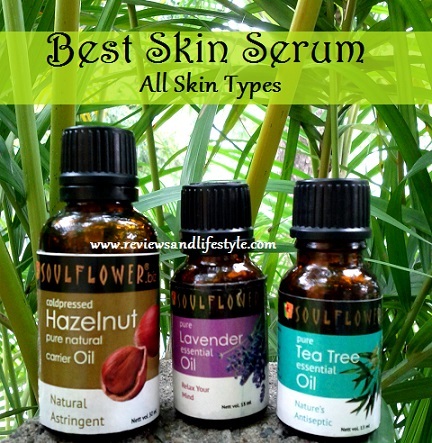 To get more skin benefits out of it, use it with essential oils. I simply dab very little of Hazelnut on my palm and add 2 drops of tea tree + 2 drops of lavender essential oils. Mix with finger and apply on my face, neck and hands at night. If you don't have both, you can use either of these essential oils. I tried this on my feet and it cured cracked heels in just 2 uses and has removed stubborn tanning in just 4 uses. Using it this way will remove blemishes, warts, breakouts, acne, wrinkles, sunburns, rashes and dark spots from your skin. With regular use, it will tighten skin pores and you can also reverse some of the skin damage and ageing. In winters, you can further mix it with Sesame oil and Avocado carrier Oils for great moisturization, skin nourishment, sun-protection, as well as for a rejuvenating body massage. You can buy from Soulflower for Rs 172 HERE or from Purplle.com, Flipkart.com etc. Dear Seema, thanks for reading the post with such attention to detail. The oil I had once suggesdted for pigmentation was rosehip carrier oil, which is made by crushing the hips/the node beneath of rose flowers. Rosehip carrier oil is one of the richest sources of Vitamin C so works great to remove scars and pigmentation and also great for oily skin. Now this Hazelnut oil has Vit B and no Vit C. This one improves, heals and tightens the skin making it supple and youthful. Hazelnut oil alone CANNOT remove pigmentation. It boosts skin cell regeneration apart from other great skin benefits, and to get additional benefits, we can mix essential oils in it like tea tree and lavender, which is when it improves blood circulation and helps remove pigmentation too. Hope this clears the confusion, If tanning is the only concern, then go for rosehip carrier oil. Carrier oils can be used directly on the skin. 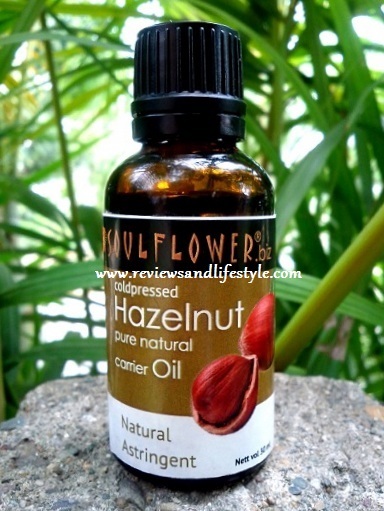 If you want overall nourished and supple skin, then go for hazelnut carrier oil. great info ..! definitely gonna try this .. Thanks Arul. This oil is great for all skin types and especially good for youngsters like you who are prone to acne in teenage. Oh you already bought it! :) Wow. Even I am thinking of starting using it on my son's skin as a sunscreen, the primary reason I had bought this oil for. Thanks for trusting the info I share. Would love to know how you liked this oil, once you have used it thoroughly. am just wondering , is it the tree tea & lavender essential oil or the hazelnut oil. I am using both these with organic cold pressed coconut oil and am very happy with the results. I have hazel nut cold pressed oil which I was thinking of using in salad dressings :) , now I am in two minds ?? ?